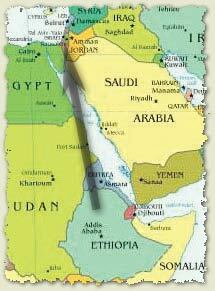 Ethiopia has a unique and long-standing relationship with Israel, much of which is recorded in the pages of the Bible. Moses married an Ethiopian wife (Numbers 12:1). An Ethiopian traveled to Jerusalem to worship and is discovered reading the Jewish Scriptures (Acts 8:27). 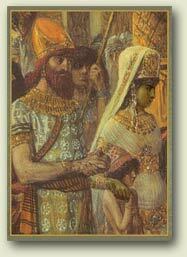 Visit of the Queen of Sheba (Cush) to King Solomon of Israel (1 Kings 10:1-13). This tradition, favored by Ethiopian Jews, states that a son, Menelik, was born to Solomon and Sheba, through whom all Ethiopian Jews descended. Jews fled the Babylonian exile during the destruction of the first Temple in 586 B.C.E. (2 Kings 25). They would have traveled to Egypt, then down the Nile River, eventually settling in the hills of Gondar and Tigray, where they remained hidden for centuries. Jews who traveled from the Arabian peninsula (near Yemen) to the Horn of Africa (Ethiopia) and established new Jewish communities. Perhaps they then intermarried with local tribes. The lost tribe of Dan. This is a reference to a Jewish traveller and merchant in the 9th century who claimed to come from a Jewish state in East Africa that was descended from the lost tribe of Dan. He became known as Eldad HaDanite. The late Rabbi Ovadiah Yoseph endorsed this theory and it is becoming more widely accepted by the Ethiopian Jewish community. Throughout the centuries, the Ethiopian Jews (or Beta Israel) suffered much persecution at the hands of traditional Christians and Muslims. Yet, they remained the oldest Diaspora community practicing Torah Jewish observance, pre-dating modern Rabbinic Judaism. Their greatest desire throughout the generations was to return to Jerusalem.